It's 8 years since I constructed the IO - 10 El Sat antenna that is still holding up well in the moor top winds and winters. It just goes to show how well homebrew projects can work as well as the comercial ones that cost an arm and a leg. I have been working a few lighthouse stations that are currently on the air and managed to catch a couple of nice DX station last night from the cabin. 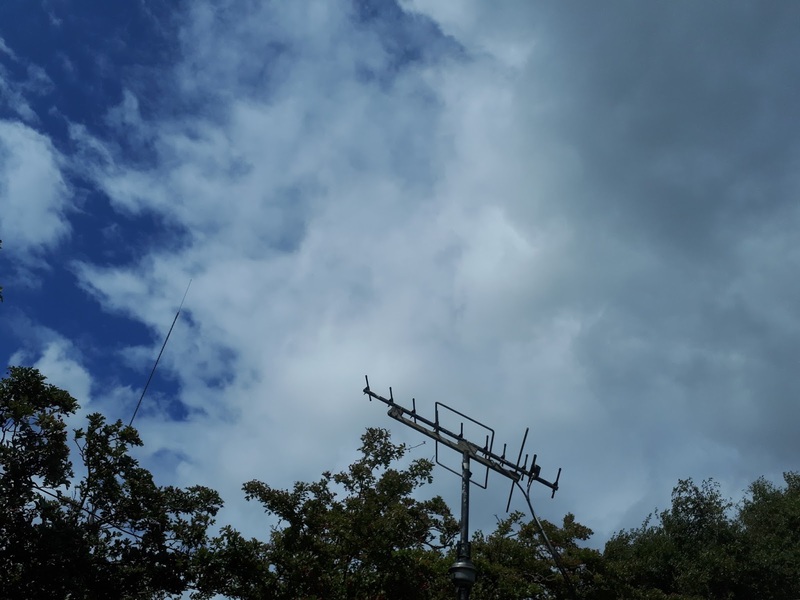 I also had some good contacts on VHF using my old YAESU FT-2600m where I made contact with a special event station, a new operator practising from a radio club as well as some local stations that I haven't made a qso with for a couple of years. The WX up here on Baildon Moor is sunny with showers and plenty of wind as our summer holidays continue for another week or so. Setup with excellent behavior over the last 8 years. You're missing out on my log. That's a nice picture of your IO satellite antenna. But it is a pitty that we don't hear you on the sats anymore. I hope to CU on one of the sats soon hi.